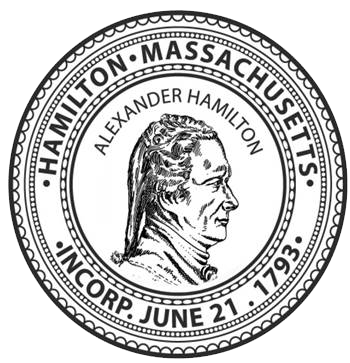 The Sealer of Weights and Measures enforces laws regarding pricing and delivery which protects the citizens of Hamilton and those who visit the town. All commercially used measuring and weighing devices, such as gasoline meters, home heating oil trucks, scales, and scanners are annually tested and certified by the Sealer of Weights and Measures as mandated by Massachusetts Law. The Sealer of Weights and Measures inspects devices once a year as required by law. If he approves a device an approval and security seal will be attached. If he does not approve the device the business cannot use the device until it is fixed or replaced. The Sealer of Weights and Measures will respond to all complaints about pricing, weight and deliveries. He also will conduct random inspections. Electronic scanners are not foolproof. Make sure the price is right, watch the display screen when you are at the register, bring a copy of the store flyer to the register, write down sales prices as you shop so you can remember them, check your receipt before you leave. If you think you have been overcharged; say something to the cashier or the manager. When you buy products by weight, you’re not supposed to pay for the packaging. Most scales automatically deduct the weight of the package. The scale should be facing you so you can see the numbers. If something seems wrong, ask the clerk to weigh the package again. Make sure the scale is set to zero or a minus sign before the clerk weighs your product. If you have questions, don’t be afraid to ask for a manger.